Life Coaching is an exciting and a scary world. Life coaching is a new development in the counseling, therapy, helping-person field. There are good life coaches out there, who can be very helpful, but finding who you need to see is the challenges. Let’s hope this post will help explain those issues. Coaching of all kinds has been around for a very long time. We are all mostly familiar with athletic coaches. Most have been players, grown up around the sport they coach or they have taken formal university classes in how to coach a particular sport. A good coach can prepare you for the Olympic trials or help you take your golf game up to a pro level. You do not take a weekend seminar online and then coach an NFL team. 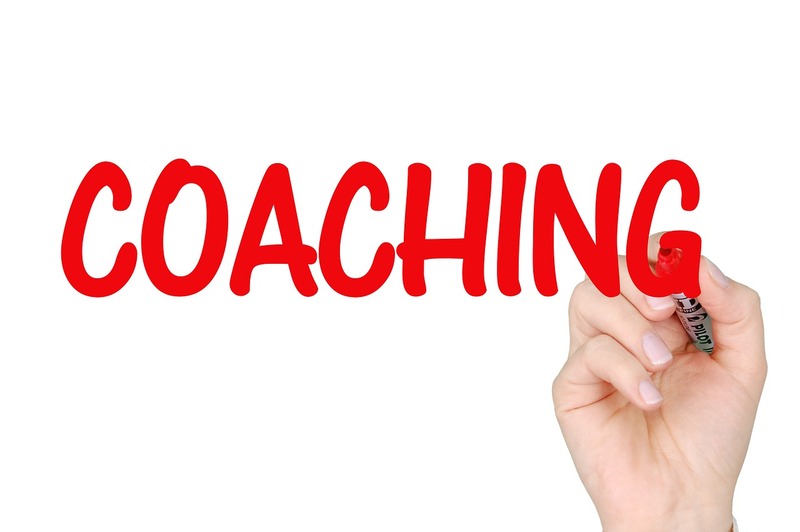 Other types of coaches have grown up to meet the needs of particular people for mentoring and development. Executive coaches help executives plan and develop careers. Recovery coaches are often people who have recovered from a particular issue, substance use disorders or alcoholism. They can help take a recovering person through the journey from the land of addiction to recovery land. One thing we have found in the recovery field is that being in personal recovery can help make you a better coach or substance abuse counselor, but that by itself is not enough. Those peer coaches need more training and they need supervision. To be a good coach you not only need to know how to do something, play a sport or recover from drug use, you also need to know how to pass that knowledge on to the person you are trying to help. Many of the current life coaches have come from the fields of psychology, especially counseling psychology to be specific, or they are from the fields of mental health, marriage and family therapist, or professional counselors. Most mental health therapy and counseling are deficit-based. You need to have a mental illness and then we can see you and bill your insurance. But what if you want to be a better person, develop your career or just plan to more effectively reach your goals? Counseling, in the past, was not set up to help well people, it was set up to treat ill people. One school of counseling, we call this a “theoretical orientation” is called “solution-focused therapy.” Rather than looking for what makes you sick, these therapists look for the things you do that work and then help you plan to do more of these behaviors. Recently counselors and psychologists have been looking at things called “strength-based” counseling. What are you good at and how will we help you do more of that. This led to the field of positive psychology which looks at making life better rather than “pathologizing” people so that we only treat sick people. Thinking in terms of teaching skills to have a better life is scary to those people who are used to thinking that systems of care should only treat the really – really – sick people. The result is that help in having the life you want and in staying well is not something most healthcare systems pay for. You want help in having a good life, they may think, you need to go looking for it yourself. If you plan ahead then you can get sick, get professional help until your problem gets moderate or mild, and then you are back to being on your own. Many people would rather plan and develop a good life and avoid being sick in the first place. So they seek out coaches that can help them plan a better life. You do not have to be sick to go for coaching. Now the secret part of life coaching. Most, maybe all of what coaches are doing has been done by counselors and some psychologists all along. The difference today is not what we do but who pays for what. The result is new fields of counseling psychology and counselors doing “life coaching.” Marriage and Family Therapist have known this for a long time. Come in when you have mild disagreements and we can help you improve communication. Wait till the divorce is in progress and all we can do is keep you from hurting each other while you negotiate the divorce stuff. Try a web search on life coaching and you will see a vast array of web pages. All life coaches are far from equal. Many of the web pages for life coaching are adds, take this class; send in a check and you can become a life coach and make big money telling people how to live their life. The truth of life coaching is far from this. Currently, there is no set curriculum or standards for life coaches, no license and while there are schools teaching life coaching most are private for-profit enterprises and their degrees are untested and unaccredited. Some life coaches run ads that sound more like they are psychics or “spiritual healers.” Now if that is what you are looking for all well and good. The rub comes in when people go to these “life coaches” and turns out they have a serious mental illness that should have been treated. My suggestion is that if you want “life coaching” because you want to improve your life and reduce stress, seek out a licensed mental health professional. I must here disclose my biases. I am a Licensed Marriage and Family Therapist and a Licensed Professional Clinical Counselor. Also in supervising trainees and interns who are new to the field, some of what I do is coach them in how to be the best possible therapists and counselors. So, I do all three and that may make me extra skeptical of those who embark on the life coaching business without getting some serious education and training. If you hate your job and are so depressed you can’t go to work, get therapy for your depression. If you don’t know what kind of job you want, see a career counselor. Not sure how to develop and grow your career as you grow older you may need job or life coaching. Same thing for relationships. Can’t get along with your partner see a couple’s counselor. Scared and having trouble dating and finding a partner? You may want to work with a relationship counselor but on some dating coaching. In future posts, I want to talk to you about strengths-based counseling and how you may find it worthwhile to look for someone who will help you have the best life possible. This entry was posted in Counseling and Therapy, Life Coaching, Psychology, What is and tagged Coaching psychology, Life Coaching, personal coaching, Positive Psychology, Recovery coach, strength based counseling by David Joel Miller. Bookmark the permalink.